Discussion in 'Support' started by Amelia, Sep 16, 2013. Clutching at straws, but anyone know much about this? Apologies if its been asked before, but as I'm coming off a good 6 months of antibiotics (on and off) I'm wondering if this may be a factor? Yes, and there is a connection between candida (yeast overgrowth) and tinnitus. Ringing ears is listed as a side effect of yeast overgrowth. It's possible that you do have some yeast overgrowth from antibiotic use. Back when my tinnitus got bad (in 2010), I went to a naturopath, and one of the first things she did was put me on some supplements for candida (yeast). I still had ringing in the ears, but I definitely felt better after about a month or so on the supplements. Who knows, it might help your tinnitus! I'll be interested to hear what happens when you see the herbalist. I'm very, very skeptical of most of what I read online about "candida" because there is so much snake oil and pseudoscience, and to the extent this is a real thing outside of the severely ill, it is poorly understood, impossible to diagnose, etc -- and lots of people think it's "the cause of all disease" and other stuff like that which is clearly bonkers/unscientific. That said, after ~3 weeks on this protocol (b-12, metafolin, 'yeast-cleanse' capsules with grapeseed oil and stuff, apple cider vinegar), not only is my ringing improved, my whole overall health is better than it's been in months/years. Seriously. My skin has dried out and cleared up -- my acne looks better than it has since I was on strong drugs for it years ago, and my various GI problems (some of them very longstanding) are likewise obviously much improved. I've been sleeping without a fan, and this morning there was a lot of ambient noise and I PUT EARPLUGS IN and went back to sleep! Both of those things would have been impossible a month ago. Could you describe the exact protocol you are following ? that's it. The b-12 and ACV are things I have used in the past, the folic acid and yeast capsules are not. 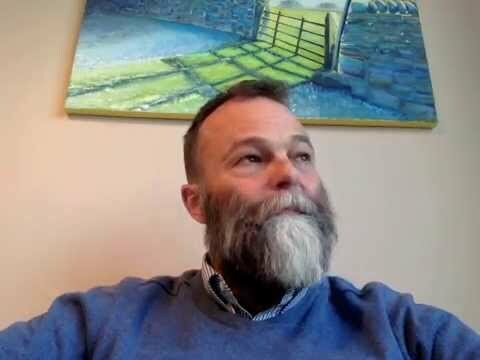 Julian cowan hill talks about the candida-tinnitus connection on youtube. He stated that his t improved with an anticandida diet. Worth a shot Amelia. Wich ones to be excat? Not sure. Maybe very high frequency loss in left ear. @RaZaH Yes, I am in the fifth month of anti yeast treatment. The herbal cleanse is not enough. One needs to change the diet (eliminate sugar and carbohydrates), add probiotics, and add antifungals (I have used Fluconazole for more than 4 months on top of the herbal cleanse). I will report results when I have an outcome. My T is very fluctuating, cycles and has many complex sounds. I could not find any solid trauma trigger event. One year into my T, I realized that my diet was crazy rich in sugar and carbohydrates and the possibility of a candidiasis was significant in spite of the ENT negative opinions. I have an increase in my tinnitus that started about the same time when I noticed an yeast infection in my mouth after antibiotics use. It also happened at the same time I was taking anti fungal medicines to treat it, I read that when the candida dies off rapidly it releases certain toxins that can cause or increase tinnitus, how much of this is scientific or not however is unclear. I have had candida since 2009.
in the recent days i have experience oral rash, and then tinnitus appeard. this might be the cause. Hi I recently got tinnitus a couple of days ago. Prior to this I had been suffering from a vaginal yeast infection which I treated with over the counter gel which I had a allergic reaction to. Initially I did not make a connection between the two, but as time went on I wondered that it was rather strange until I googled the symptoms of yeast infection and one of them is the ringing of ears. Has anybody been cleared from yeast caused tinnitus? Which antibiotics are you taking? Some are very well known to be ototoxic. Aminoglycosides are the worst and most ototoxic of all of them. Remember, damage to your ears (whether noise or drug induced) is cumulative so take care with what you ingest. Interesting...I found this video that shows the spit test for Candida. Not sure how accurate it is but it seems quite a few people think can be. Starts around 2:45 into the video. What do you guys think? In my case, I realized the potential root cause of my problem after one year, and by then I had a bad chronic microbial overgrowth case that is turning out to be almost impossible to eliminate. So....any update? I think antibiotics made my digestive system out of shape even though I was on a vegetarian diet. I have continued updating that thread and you will see that my last entry from a few days ago is positive. This is being an incredibly long and exhausting journey. My T is being at his best in the last few weeks, and I remain optimistic. No success story yet. About your comments on antibiotics, that is a well known path to get a microbial imbalance in your body, and is common to end up with fungal overgrowth after antibiotic treatments. linearb, would you contact me via email? debra.m.clements@delta.com. I have several issues I believe are caused by candida overgrowth and want to discuss your protocol with you. Aside from tinnitus, I also developed cholinergic urticatia last June. It is a rather painful skin flusing/flat rash that burns when your body temperature rises, due to outside heat, exercise, or excitement. I think it is all related. My skin has gotten extremelyli dry and has little dehyration lines running everywhere, although I drink a lot of water. And, I have stopped sweating. Have been in good health all my life, on no medications, BP good, just overweight. 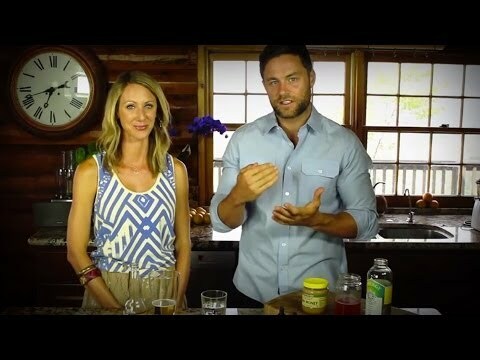 What specific yeast cleanse are you on? name? And, which Metafolin are you on? Name? And, where do you get sublingual B6? Name? linearb, also, do you think Coconut Oil would be as effective as fish oil? Is Candida Overgrowth Causing My Tinnitus?! 40 Years with Tinnitus. Could It Really Be Candida?